Just saw this short course out the window on approach to DFW. 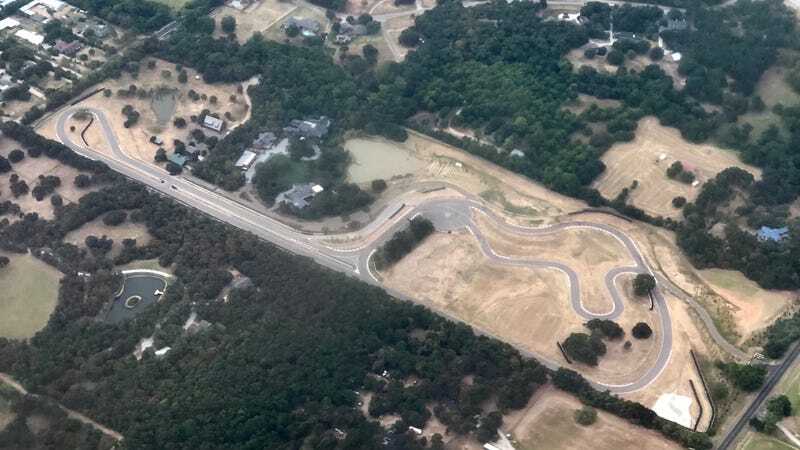 From the looks of it and the surroundings it appears to be a private kart track. Anybody familiar with this or have more info? Less zoomed photos after the jump. Bonus bonus worst photo ever of a Korean Air Cargo 747. Love the livery.